I think we all turn into little shutterbug-paparazzi people during the holidays. 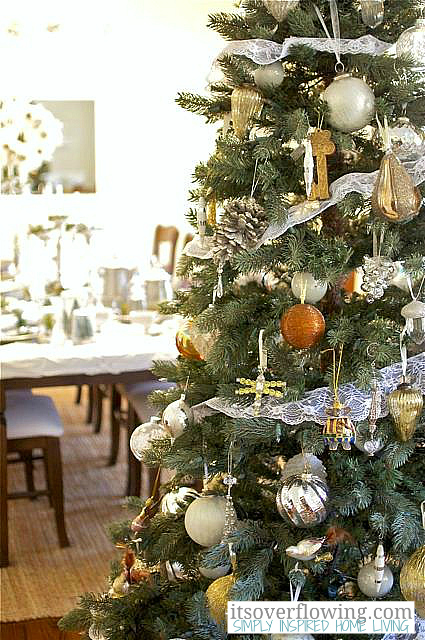 Snapshots of the tree, pics of your holiday tablescape, photographs of loved ones as they open their gifts. Photos are such a wonderful way to preserve your holiday memories, aren't they? 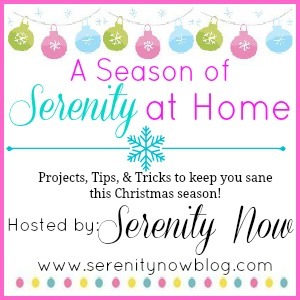 There's a lot of pressure on moms to get those "perfect shots" during the Christmas season, so I invited Aimee from It's Overflowing to share some Holiday Photo Tips with us as part of my Season of Serenity at Home Christmas inspiration series. She sent some "inspiration shots" for you to take note of and try on your own at home! Please help me welcome Aimee to the blog today! I'm Aimee Lane, and I blog at It’s Overflowing, a blog devoted to Simply Inspired Home Living. The focus of my blog is simple: functional decor, the use of natural fibers combined with high quality pieces, delicious recipes, polished photography, and seeking out solutions to simplify life. Blogging energizes me! I love sharing new tutorials, inspirational decor, and lots of useful household tips with my readers. 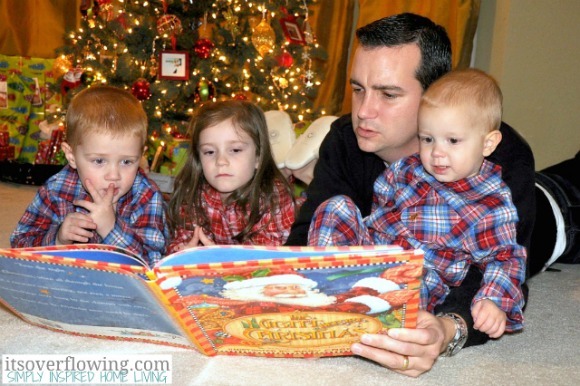 I am so thankful that Amanda included me in her series...ways to simplify Christmas. I'm a huge believer in traditions. Helping children know they belong to a bigger circle than just themselves is an awesome responsibility. Handing down stories, beliefs, and customs from one generation to another helps to establish a strong sense of identity. Pictures are practical tools to share these stories! At times this Christmas season, you may wonder if your labor of love is worth your effort. You're in the business of shaping hearts and that's HUGE...keep making it special! Thanks, Aimee! There are one or two photos on your list that we haven't done before. I need to add them to my mental list. If you stop by It's Overflowing, please be sure to tell Aimee that I sent you! *My Christmas series is designed to bring you a beautiful holiday at home...without all the stress! You can see all of the posts in A Season of Serenity at Home by clicking here. 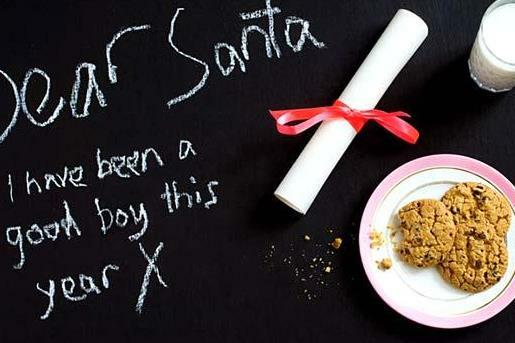 I never thought of taking a picture of Santa's cookies...such a cute idea! 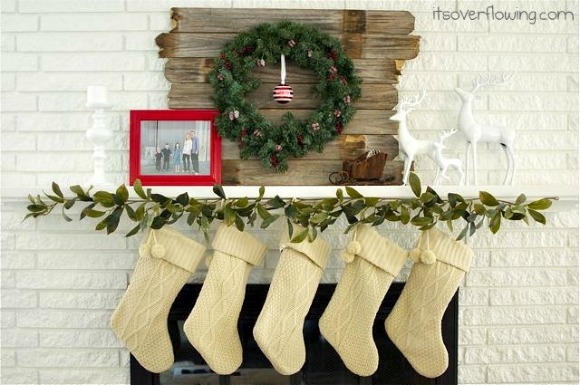 I love her mantel and stockings too! Great post. I like the idea of each child with their favorite ornament. Thanks for the inspiration! Amanda, your series is so FUN! 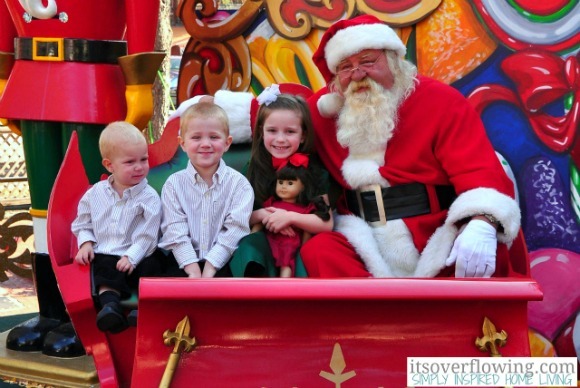 Thanks for sharing some of my favorite pics to take each Christmas! 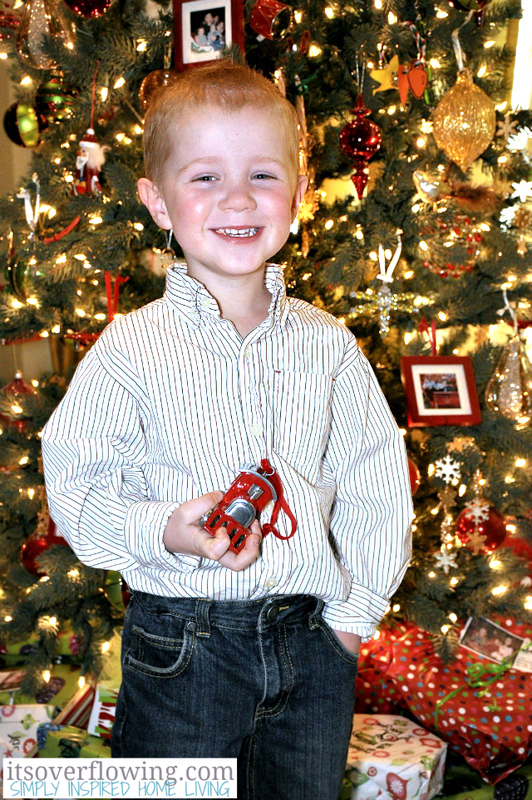 Next week I'll have lots more Christmas Photography Tips on my blog!!! Chat with you soon! Great post, Aimee. 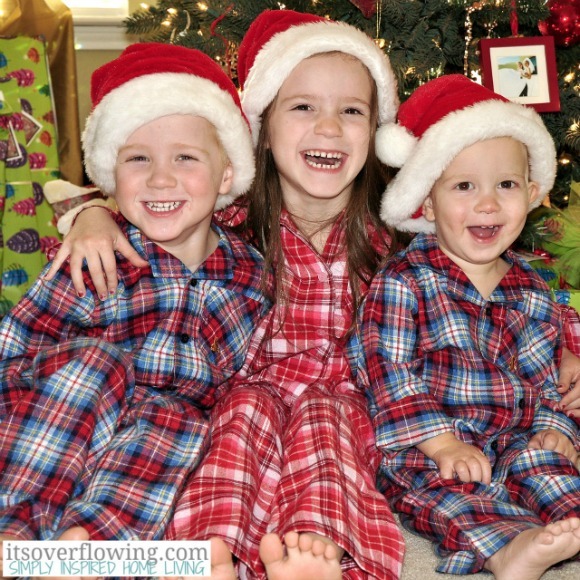 Love the matching Pajamas :) reminds me of my childhood. Love the photos- a great reminder to capture the memories!